Jiffylite® No. 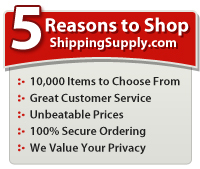 2 Bubble Mailers provide outstanding low cost shipping protection for a wide variety of products. 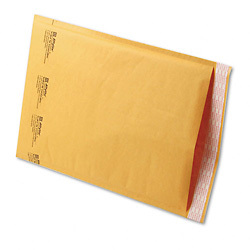 Jiffylites® are made from recycled golden kraft paper with a 1/8" Bubble Wrap® lining. Peel and stick lip provides a secure, tamper evident closure. - Usable dimensions for No. 2 Bubble Mailers are 8 1/2" x 10 3/4". - Each bubble mailer weighs only .8 ounces.